Meteorologists at the National Oceanic and Atmospheric Administration (NOAA) say the unusually high temperatures in the month of October have set new heat records, and it might just be the hottest October on record- beating previous heat records of October 2003. 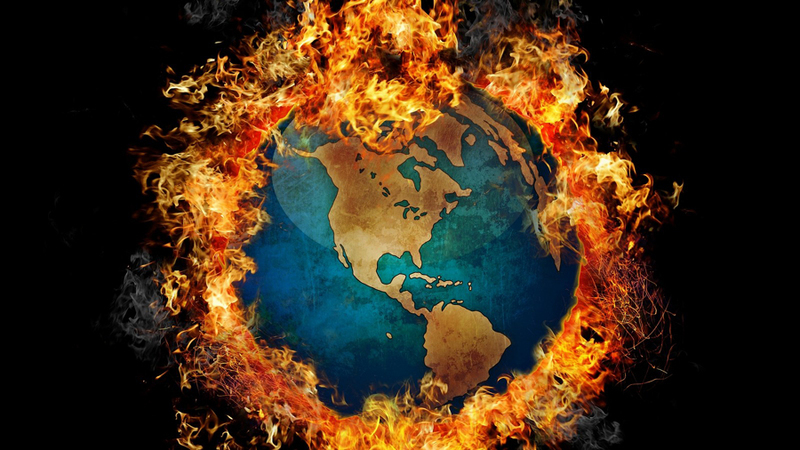 They say despite a bitter cold snap in America, this might be the hottest year ever on our planet. The weather agency in Japan also seemed to agree with this. According to the NOAA, the highest previous recorded temperature for the month of October was 58.43 degrees Fahrenheit (14.74 Celsius), eleven years back. Five of the last six months have already set new heat records, with the month of July being the only exception. With only two months left for the year to be over, 2014 has already gone down the record books as the warmest year ever, beating the previous highs of 2010 and 1998. The average mean temperature in the world this year has been 58.62 degrees (14.78 degrees Celsius). This should come as an eye opener for all those who think that snow means all fears of global warming were meant to be hoaxes. The NOAA also released two maps which show that even if we are feeling cold, it is not quite as cold as it used to be at this time of the year, and that temperatures across the world have registered a slight increase. This article is doing a disservice to the whole notion of global warming. Hottest year ever? Maybe the hottest year since they started keeping records. This kind of sensationalist reporting undermines the credibility of such reporting. Are you saying that 2010 was the warmest year in over a century or 2003 was the warmest year in over a century? You do realise either of those would be clear evidence of warming… right?